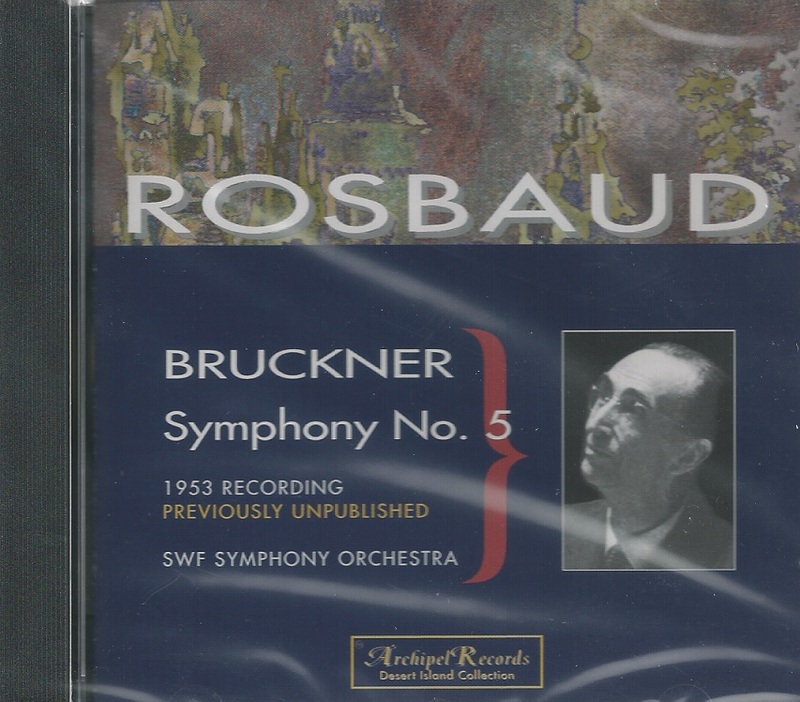 "Much like Romanian conductor Sergiu Celibidache, Rosbaud found that working with radio-symphony ensembles allotted him the requisite rehearsal time and degree of artistic independence he could not have enjoyed within the confines of the more formal symphony orchestras’ budgets. Richard Kapp (1936-2006), with whom I shared a microphone on several 'First Hearing' panels, never spoke of his studies with Rosbaud with anything less than veneration. 'He mastered every style', offered Kapp, 'despite his repute only in the most contemporary classics'. “GRAMOPHONE recently remarked that Rosbaud ‘was one of the unsung heroes of mid-20th-century music, who ... gave thoroughly rehearsed and assimilated performances and premieres of the widest possible range of music’. Prominent in his legacy are recordings of the music of Bruckner, Mahler, Stravinsky and Boulez. Hans Rosbaud was one of the best known conductors in Europe, particularly for his pioneering performances of twentieth century music. In 1928 he took the position of Musical Director of Frankfurt Radio, a position he held until 1938; simultaneously he was First Kapellmeister of Frankfurt's Museumgesellschaft concerts. In both positions he made Frankfurt one of the most exciting venues for new music. He frequently scheduled music of Schönberg, Berg, Webern, Bartók, Stravinsky and others. He presented the premiere performances of Schoenberg's ‘Four Songs with Orchestra’, Op. 22 (1932),and Bartók's Second Piano Concerto with the composer as soloist (1932). Nazi rule forced him to curtail performances of Jewish composers and those labeled as ‘cultural Bolsheviks’ after 1933. 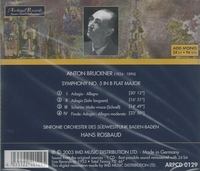 He also shifted to less prominent positions as Generalmusikdirektor in Münster (1937-1941) and in Strasbourg (1941-1944). After the war, he again returned to conducting in a major city, as Principal Conductor of the Munich Philharmonic Orchestra (1945-1948). But his preference was for radio, where he could schedule more innovative concerts and reach a wide audience with modern music. Therefore in 1948 he accepted the position as Chief Conductor of the South-West German Radio Orchestra in Baden-Baden. German radio was based on strong regional companies whose programs were also carried elsewhere in the country. Baden-Baden, with a history as one of the most liberal corners of German and a strong interest in arts, was ideal for Rosbaud's purposes. Furthermore, the identification by the Nazis of their opposition to certain kinds of music gave that music a strong prestige and support among, particularly among the younger audience. These factors, and a sense of a need to learn about music currents that had passed Germany by when Hitler and Goebbels transformed the country into a cultural backwater, combined to create a strong audience for Rosbaud's programming.